Nikki Stafford herself. Nikki is the author of such books as: The Finding LOST guides and Bite Me! : The Chosen Edition The Unofficial Guide to Buffy The Vampire Slayer. Elizabeth Rambo – co-editor of Buffy Goes Dark. Ian Klein – Contributor to Inside Joss’ Dollhouse: From Alpha to Rossum. David Lavery and Rhonda Wilcox – the father and mother of Buffy Studies and co-editors of Fighting The Forces: What’s At Stake In Buffy The Vampire Slayer?. Stacey Abbott – the world’s leading Angel scholar and author or editor of such books as: Celluloid Vampires: Life After Death in the Modern World, Reading Angel: The TV Spin-off With a Soul, and The Cult TV Book: From Star Trek to Dexter, New Approaches to TV Outside the Box. Husband and Wife power duo- Ensley Guffey and Dale Guffey. Dale is the author of Faith and Choice in the Works of Joss Whedon. There are many more – including yours truly! I will be doing my best to watch every Tuesday between 7:30 and 9:30 pm – West Coast time – before reading that week’s post online at Nikki’s blog! I love thinking about my Buffy peeps watching all over the world and hope you will join us over the coming year! The Ink-Stained Amazon’s Gift Guide For Geeks All 12 Days Round-Up! Having gone through the entire series during 2010 (I just happened to be starting season 5 right before Clare Kramer answered my invitation to join our Comic-Con panel), I can say this is definitely worthwhile. Watching with the perspective of 2011 eyes and sharing it as a common experience with other fans is a great idea. Yes, Kat! This. Exactly. 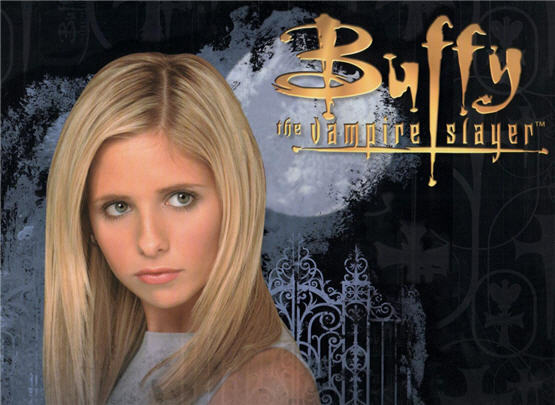 One of the best things about the Buffy course we did at UW (http://www.ink-stainedamazon.com/chid496/index.html) was watching and talking about episodes with a group of people – people who I both bonded with deeply and who pushed my critical thinking and perspective. Being able to do that again, but on a larger, if less intimate, scale is something I am very much looking forward to! Nikki – Thank YOU for putting this all together!!! Thanks for the mention, Jennifer! I am already noticing so many new things and I may very well post my thoughts on episodes outside of my delineated weeks as I engage in the conversations because there is just so much to say!